The Suntones started recording their CD last weekend. We tracked the Instruments live with the intention of recording vocals later. 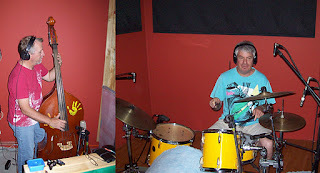 All drums and most of the instruments were finished, with a little overdubs and extra tracks to be added. The Suntones are a country/blues roots based band currently playing in Perth and Fremantle. 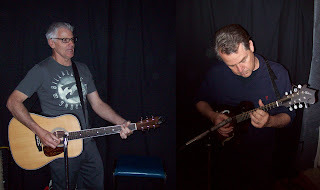 The line up is Chris Harwood -Acoustic upright bass/vocals, Steve Smith acoustic guitar/mandolin/vocals, Jeff Barham - Acoustic/Electric guitar, mandolin, Dobro and vocals, Andrew Smith - drums.